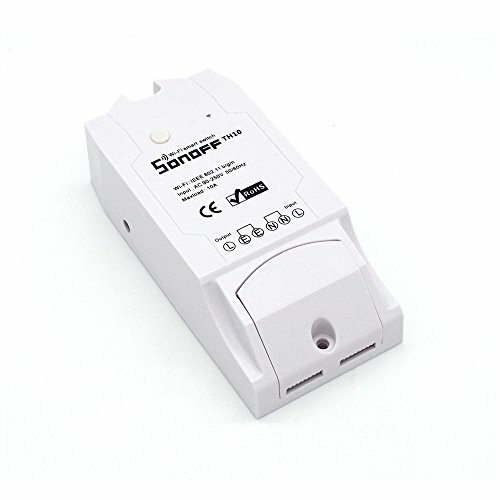 This product is available at Aliexpress, Ebay, Amazon.com, Amazon.de, Banggood, Amazon.co.uk. 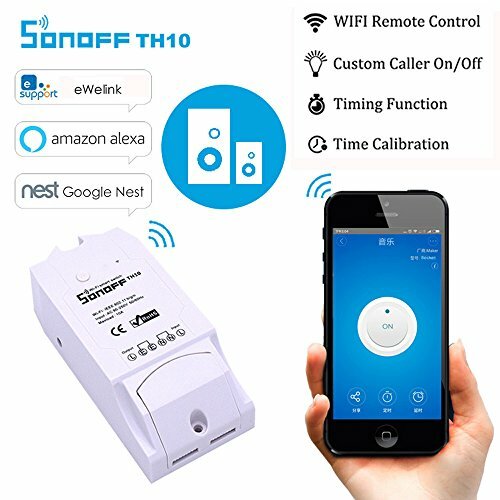 At aliexpress.com you can purchase Sonoff Smart Home Sonoff TH10 WiFi Smart Switch 10A Temperature and Humidity Sensor Remote Controller for only $8.14, which is 44% less than the cost in Banggood ($14.59). 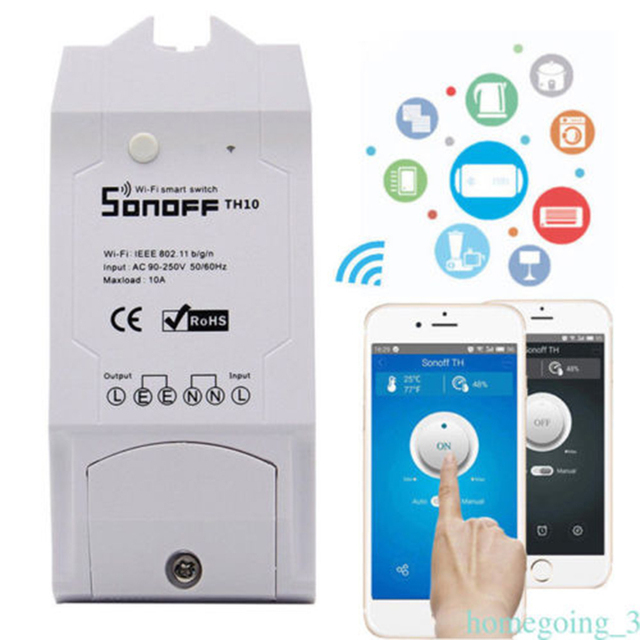 The lowest price of SONOFF® TH10 DIY 10A 2200W Smart Home WIFI Wireless Temperature Humidity Thermostat Module APP Remote Control Switch Socket With AM2301 Temperature And Humidity Sensor was obtained on 2 March 2019 2 h 03 min. 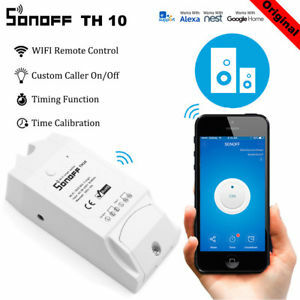 The Itead Sonoff TH10 is a control module for a relay capable of controlling a heater or a fan. 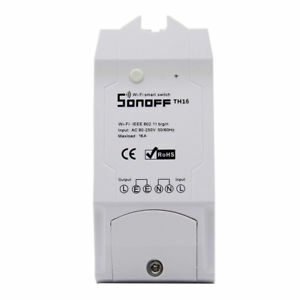 It is less powerful than the Sonoff TH16. It can deliver a power of 2200W (10A). It is a small module that makes it possible to realize very quickly a small heating or a “air conditioning” regulated. It is built on the same base as the other modules of the Switch range (Basic, Dual, RF, POW …). Programming or manual control is carried out using the EWeLink application (shown here). 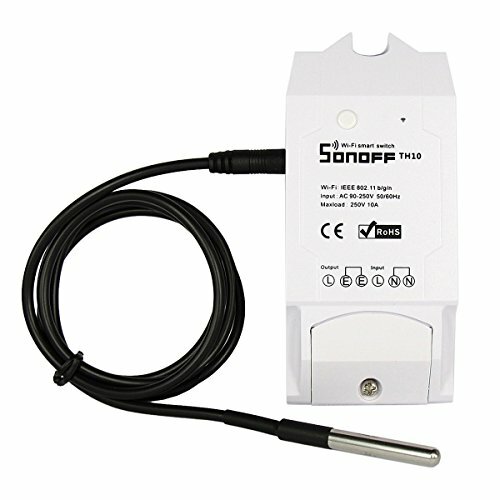 Four temperature and humidity sensors can be used: Si7021, AM2301, DS18B20 and DHT11. A jack connector is available on the side of the case. It is better to buy a ready-to-use probe. The probe must be purchased separately but there are also packs. 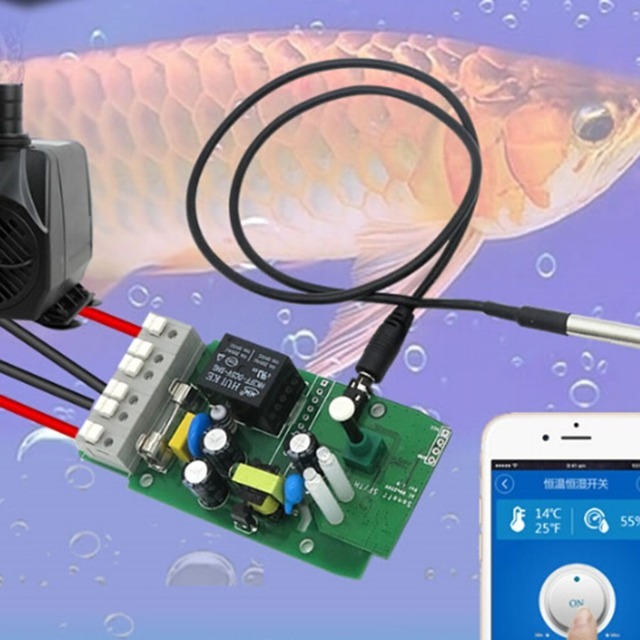 Itead gives an example of a temperature control setup using an AM2301 or DS18B20 sensor. 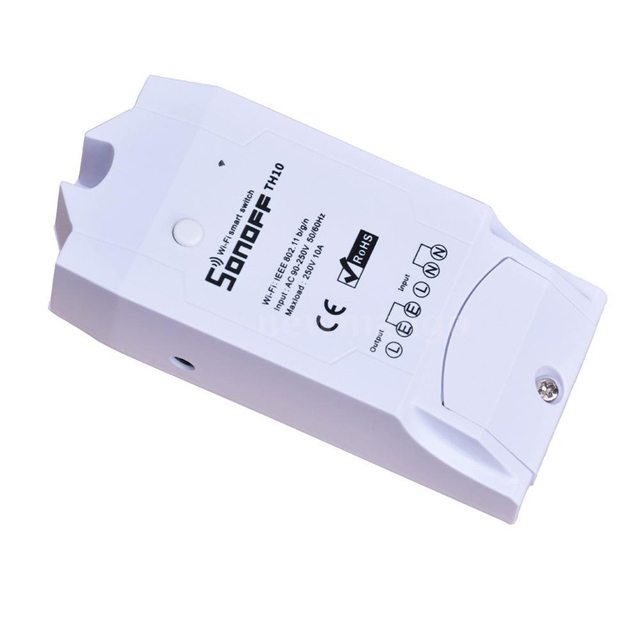 Like all Itead connected products, it is possible to replace the original firmware with an alternative Open Source firmware such as ESP Easy, Tasmota or Espurna. You will be able to control your devices from a DIY home server (Domoticz, Home Assistant …) using HTTP requests or MQTT messages. 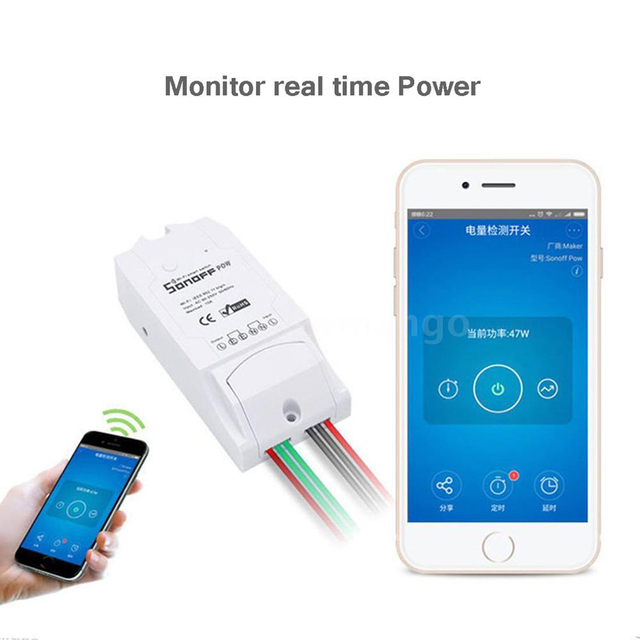 In this case you will be able to use the scenario system of your home automation server to control the heating or the fan in the room according to the measurements of the probe or of another data source.